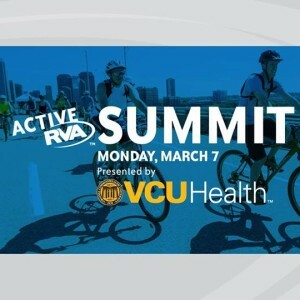 Active RVA has teamed up with the Medical Society of Virginia to launch Active RVA Docs. Study after study proves that physical activity can revolutionize our health. For preventative wellness and chronic disease prevention, mental health, and emotional well-being active living is a foundational building block for lifelong vitality. 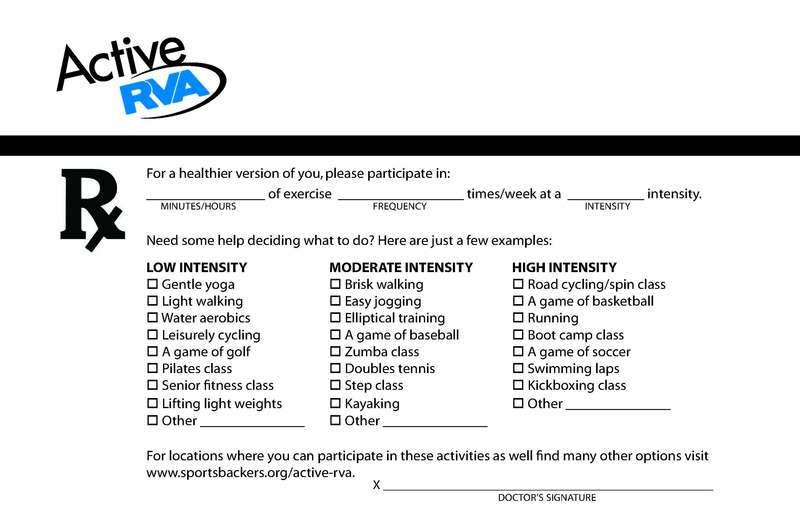 Active RVA Docs are our region’s medical professionals who champion and integrate physical activity in their work. 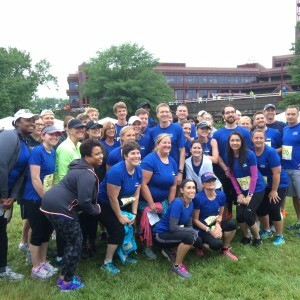 Together, they touch tens of thousands of Virginians, help to transform their patients’ lives, and build fitter, healthier communities. 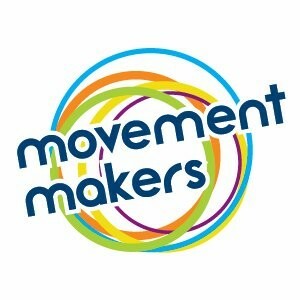 Are you a Doctor, Nurse, or PA who puts exercise and active living front and center in your practice? 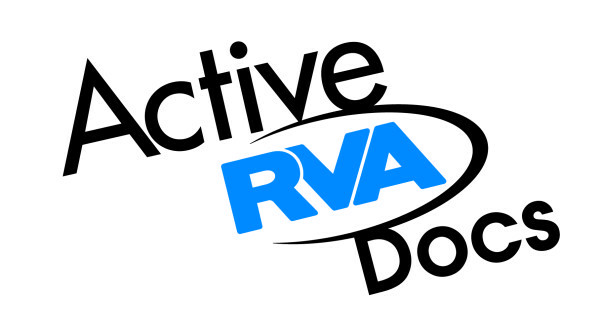 Join the Active RVA Docs. Supporting patients to take control of their health is a nuanced skill. Lifestyle changes can be complex and deeply challenging for individuals to navigate. But in the same way that prescriptions for conventional medicine can move patients from one stage of disease management to the next, a prescription for physical activity can give patients a push they need to make changes in their health and habits. 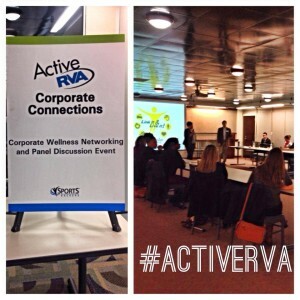 This is where the Active RVA Scrip comes in. It’s a simple tool. But can be uniquely effective for many patients. It creates a little accountability, provides clear daily instructions, and it’s in a format that patients are used to seeing and following. Active RVA Docs can download the Scrip to use in their practices across the region.